The elevators without a headhouse were called straight-up elevators. J. H. Tillotson, Contractor and Mayer-Osborn Company produced these in the latter 1940s and early 1950s. Their elevators had a smaller diameter pipe that came out about three-quarters up the rail side. Loading a boxcar was time-consuming. About 1958, there were improvements added for quicker loading of boxcars. These images show the Page City, Kan., elevator. Notice the rail loading chutes are much larger and there are two chutes, so the grain could be loaded equally. These chutes were on all concrete elevators raised during the late 1950s and 1960s. Most boxcars could be loaded within fifteen minutes, whereas on the old wooden elevators it could take up forty-five minutes. 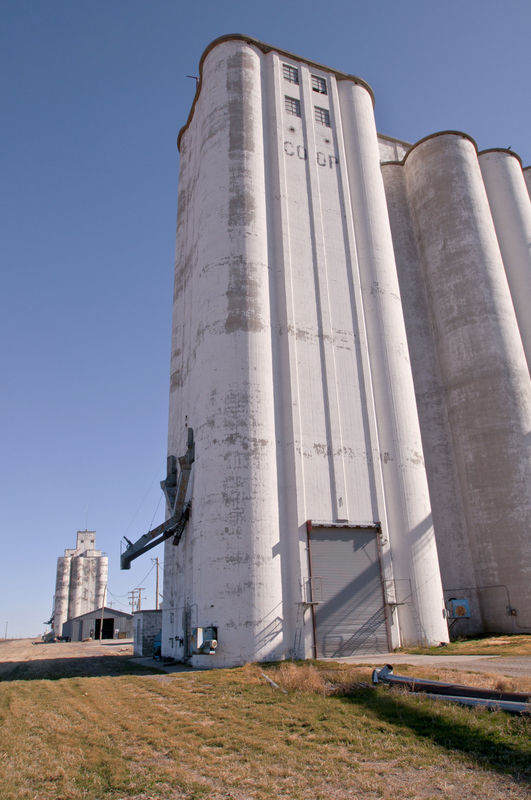 The Page City elevator was built by Johnson-Sampson Construction Company, of Salina, Kan. It was built about 1958 or 1959. Did Gene Mayer draw up the blueprints for this elevator? We don’t know where he went after the Mayer-Osborn era, which ended after 1955. Another improvement is the area around the driveway. You can see the three reinforcing columns above the driveway and door. I would think this would add greater strength. The Kanorado, Kan., elevator has a smaller version built out. It is established that Gene Mayer produced the plans for that elevator. This entry was posted in Eugene Mayer, Gary Rich Photo Pages, J.H. 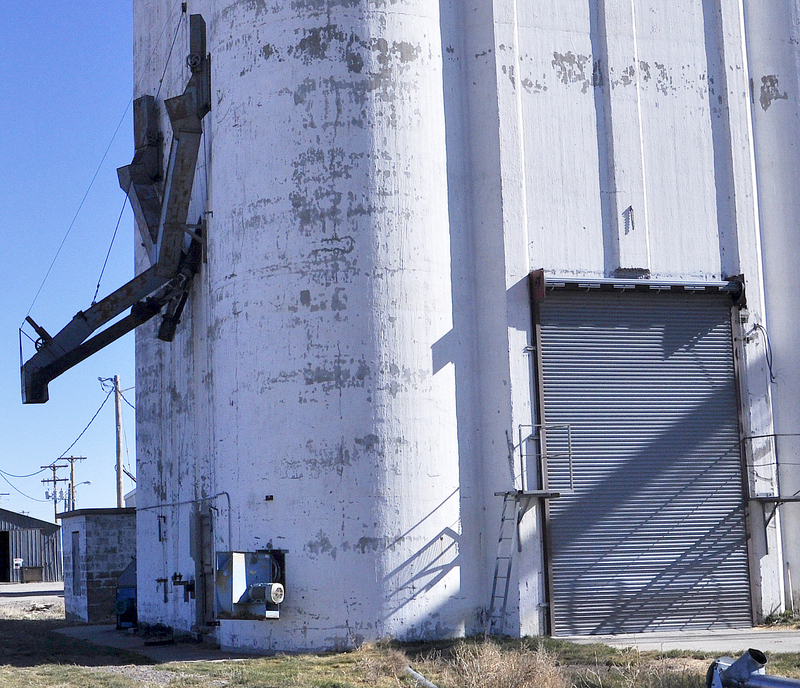 Tillotson, Contractor, Mayer-Osborn and tagged architecture, grain elevator, J.H. Tillotson Contractor, Johnson-Sampson Construction Company, Mayer-Osborn Company, slip-formed concrete. My grandfather Ted Dodson worked many years for Johnson-Sampson Construction Company. They built many a grain elevator over the years. Virgil Johnson lived his final years in my house prior to has passing away of cancer in 1972.